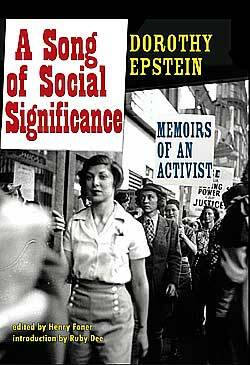 Dorothy Epstein grew up in one of New York City’s immigrant communities during the early years of the 20th century. Taking advantage of the city’s free public higher education, she graduated with honors from Hunter College and entered the workforce during the depths of the Great Depression. Radicalized by the combination of the depression, the rise of fascism and her experiences as a trade union activist, she spent all her adult life working for labor and human rights. A stroke of fate led her into the then burgeoning vitamin industry and a successful business career. During her so-called “retirement,” she founded the highly successful Institute for Senior Action that has trained hundreds of seniors for leadership. Dorothy died in 2006 at age 92.